You are here: Home » The Tax-Efficient Way for Buy-to-Let. The Tax-Efficient Way for Buy-to-Let. How setting up as a limited company can make sense for property owning landlords. Liquid Expat’s reach as the leading authority for expat UK mortgages includes helping clients purchasing or refinancing UK buy-to-let property through a limited company. Upcoming changes to UK tax make this service potentially more valuable than ever. So should I buy a property through a limited company? As an expat am I eligible to be accepted for a UK Ltd mortgage? What’s involved in setting up a limited company? Liquid Expat Mortgages takes a closer look. By ensuring that properties are held in a tax-efficient way buy-to-let (BTL) purchasers can substantially boost the net profitability of their investments. As of April 2017 investors will need to consider how the profits from their UK property will be taxed. The difference between UK Corporation Tax and the upper Income Tax rates means that many expats will find that their tax liability is reduced considerably by holding property as a company rather than as an individual. Why? Well, as an individual you are liable for tax on the total rental income achieved from your properties. For buyers looking to fund their buy-to-let purchase through a mortgage there’s a second consideration which is the tax treatment of mortgage interest. As from April 2017 individual investors will not be able to deduct the cost of mortgage interest. Instead individual investors will only receive a tax credit equal to 20pc of the interest cost and by 2020 landlords will no longer be able to deduct any of the cost of their mortgage interest from the rental income when they calculate the tax due. For higher-rate taxpayers, mortgage costs above 75pc of rental income will make their buy-to-let investments loss-making. Both of the above points could potentially mean a rate of tax as high as 40-45% is payable by the individual investor. However companies that hold UK property or landlords structured as companies are exempt from this level of taxation and pay corporation tax on their profits rather than be treated under income tax rule. However British Expats may not know too much about UK Limited Company. Corporations (or limited companies) currently pay a flat rate of 20pc, which will drop to 19pc in April 2017 and 18pc by 2020. From a tax-efficiency reason alone let alone several other benefits Liquid will highlight later, ownership through a limited company can make sense. Putting a company “vehicle” in place is relatively simple to do and what’s more, with the right help, getting the best deal on a UK buy-to-let company mortgage whilst living abroad needn’t be so arduous a task if you meet the latest lending criteria. 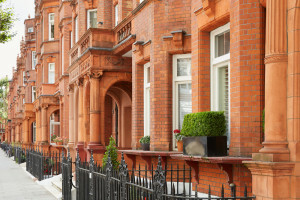 However British Expats may not know too much about UK Limited Company mortgages as historically buy-to-let mortgages in limited companies have been a specialist lender product. This however is now changing as lenders respond to an ever changing mortgage and workplace market. Why set up a limited company for property investment? Firstly, Liquid looks at the potential tax benefits of buying property in a Limited Company. This is especially relevant for expats whose UK income in total is likely to place them in the higher or additional Income Tax brands. In these circumstances personal ownership of a buy-to-let property means that rental profits are taxed at a rate of 40 or 45% whereas ownership through a company means that profits are liable to Corporation Tax (CT). From 1 April 2017, the CT rate is set at 19%. Rental profits can be retained within the company to fund future property purchases without being subject to Income Tax. It’s only when those profits are extracted from the company (either in the form of dividends, salary or a combination of the two), that Income Tax liability attaches. The rates at which dividends are taxed are lower than the main Income Tax rates: 7.5% for basic rate payers, 32.5% and 38.1% for higher and additional rate payers respectively. This raises several tax planning opportunities, such as issuing shares and paying dividends to family members so that maximum benefit is gained from income bands. From April 2017 Income Tax relief on mortgage finance costs (including interest payments) can only be claimed at the basic rate of 20% instead of at the higher and additional rates. These changes do not affect properties held by limited companies. This means, however, that higher rate Income Tax payers reliant on mortgage finance are significantly more likely to face a higher tax bill than if the investment was held in a company. As a distinct legal entity with limited liability, a company enables you to make a clear distinction between the investment you have made through it and your wider finances (subject to personal guarantees required by the lender). The ‘Ltd’ assignation can also give your investment activities a reassuring element of professionalism and credibility which is something that can be useful when dealing with lettings agents and tenants. UK company formation: How do you form a Limited Company? Setting up a UK limited company is a straightforward process – even for those who are based abroad. The basic formation process can be completed online through Companies House at a cost of just £12. It’s also possible to form a company and retain it as dormant until such time as you are ready to make your investment and put the company to use. There’s no UK residency requirement for company directors – but the company itself must have a registered office in England or Wales (or Scotland if that’s where you are registering). A registered office service can make perfect sense for expats as your company has the benefit of a UK address and any junk mail can be filtered while ensuring that important notices are forwarded on to you. A new company requires a minimum of one director and shareholder. Its ‘business activity’ will also need to be defined. Lenders generally need to be satisfied that the company is going to be used solely for the purpose of holding and investing property. You must ensure that your company’s reporting requirements are met. This includes filing an annual Confirmation Statement, a Company Tax Return and paying Corporation Tax (or report if you have nothing to pay) by your deadline. Again, this can all be dealt with online and directly with Companies House or HMRC. These are specialist products and the most suitable arrangements are not always readily accessible to the general public. For British expats, it’s therefore essential to seek expert help in securing a loan that meets their specific requirements and more importantly, understand whether you will meet specialist lenders criteria for accepting British Expat UK Ltd company applications. Limited companies are not subject to the stricter stress-testing checks on buy-to-let borrowing that were rolled out at the beginning of this year. In theory, this means that a company may be able to borrow more than a private individual. However, all of this is subject to the specific lending criteria set by individual institutions. Liquid Expat’s market reach and longstanding relationships with a range of lenders allows our clients to tap into the best possible arrangements in what can be a complicated market. In order to understand and access the lending market through Liquid Expat Mortgages speak to Liquid Expat today and we will guide you through the requirements in checking your eligibility for a Personal or UK Ltd Company Mortgage, borrowing potential, latest lending criteria and to access the most competitive deals. Liquid Expat Mortgages are available 24/7 365 days a year. CALL NOW ON+44 (0) 161 871 1216 or email info@liquidexpatmortgages.com or click here for more information. The decision to purchase or refinance as a company or a private individual depends on a range of factors including but not exclusively the size of your portfolio, the level of anticipated profits from the investment and your income as a whole. We recommend you seek independent financial tax advice before you make that choice.